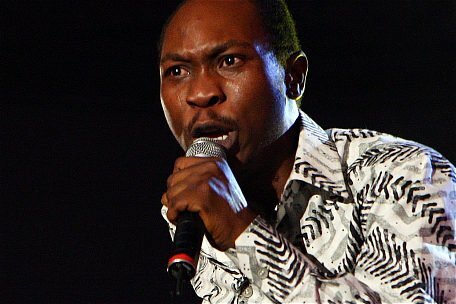 Afrobeat singer, Seun Kuti has lambasted Bishop David Oyedepo for saying he is “dangerously wealthy”. Bishop Oyedepo had, while dismissing claims that he gets funds from Nigerian politicians during ongoing Shiloh, stated that he is dangerously wealthy and won’t be needing such money. But reacting to this, youngest son of late Fela Anikulapo-Kuti blasted the cleric, telling him that money cannot buy knowledge. Seun was talking about Oyedepo’s reaction to satire article on a national daily about President Muhammadu Buhari being cloned Jubril from Sudan. According to him, the pastor should have known that the writer was only being satirical.